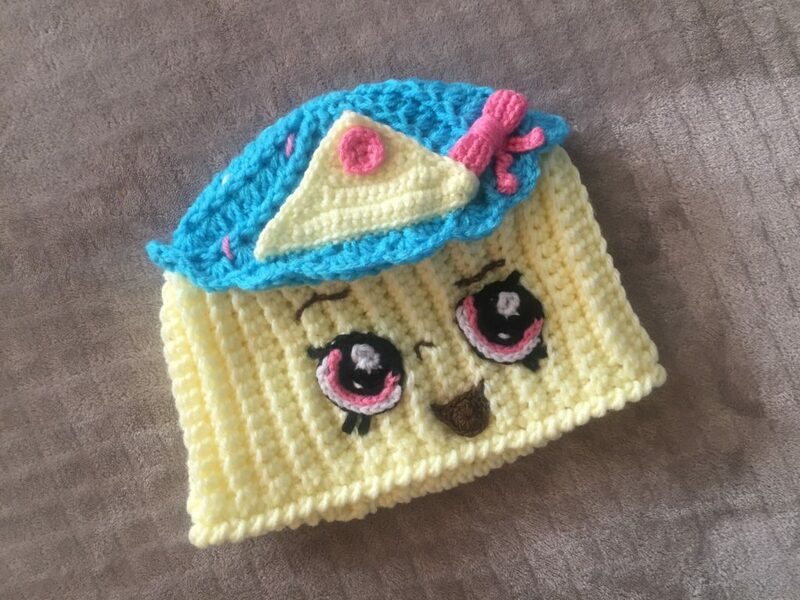 I received an order for a Queen Cupcake Shopkins hat but wanted something different than what I found online. 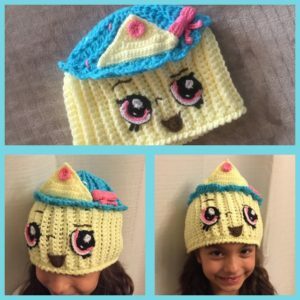 I also didn’t want a slouch beanie or a bunch of stuffing piled on top of a 7 year old head. This is what I came up with. Cute but still comfortable! I hope you enjoy making this as much as I did! Notes: I used invisible joins. You may use any method you are comfortable with. Abbreviations / stitches in between commas go in a single stitch. Fasten off with long tail. Sew ends together. Weave in both tails.